Are you planning your honeymoon? What are the most important things that will influence your decision? Is it the location? Privacy and seclusion? ALL the amenities? Activities available? We have rounded up the most luxurious honeymoon suites, cottages and tents (yes, tents!) for your consideration. And please share your honeymoon stories in the comments below – where you went, why you chose that particular destination and did it live up to the hype. Little Palm Island Resort & Spa is located on a private island and it is only reachable by a boat or a plane. It is an ideal place for any couples who want to unplug – cellphone use is discouraged and there is no TV in any of the suites. It is also ideal for couples who want maximum privacy (and one of the reasons why the resort is so popular with celebrities). 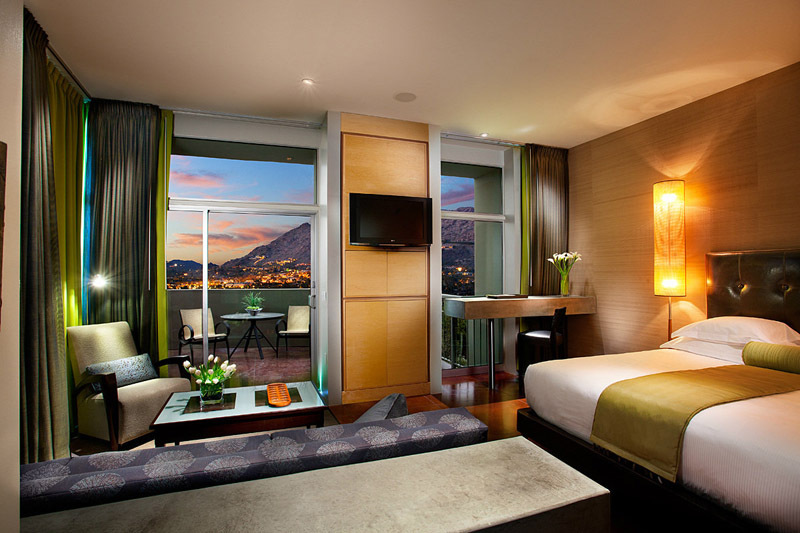 All of the suites are beautifully appointed and most have ocean views. Take advantage of the spa available on the premises or enjoy some fine dining at the resort’s restaurant. It is easy to avoid other people and get lost in a tropical paradise. San Ysidro Ranch, located on the foothills of Montecito in Southern California, is a combination of luxury and natural beauty that has been attracting guests from all over for over a century (Vivien Leigh and Sir Laurence Olivier got married at one of the gardens). If you want a crazy romantic spot to spend your honeymoon it does not get better than the Kennedy Cottage. This stone cottage offers spectacular views from your private deck, luxuriously appointed rooms, an outdoor rain shower and a hot tub. The reason it is called the Kennedy cottage? This is where Jackie and John Kennedy honeymooned in 1953. 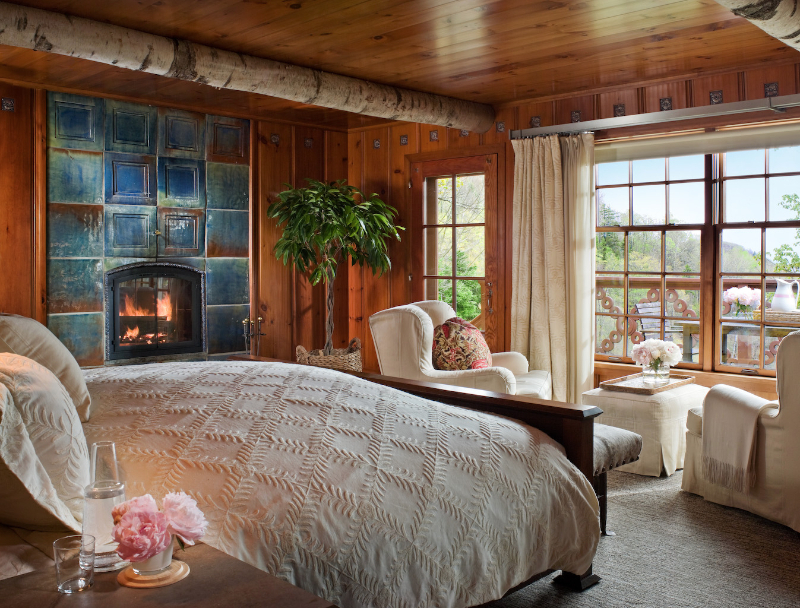 If you want a romantic escape in the Napa Valley, Meadwood will deliver on all counts. It is located in a private valley and you can take your pick between spacious rooms, gorgeous cottages or chic suites. If you want to go all out? Estate Suite should do the trick. 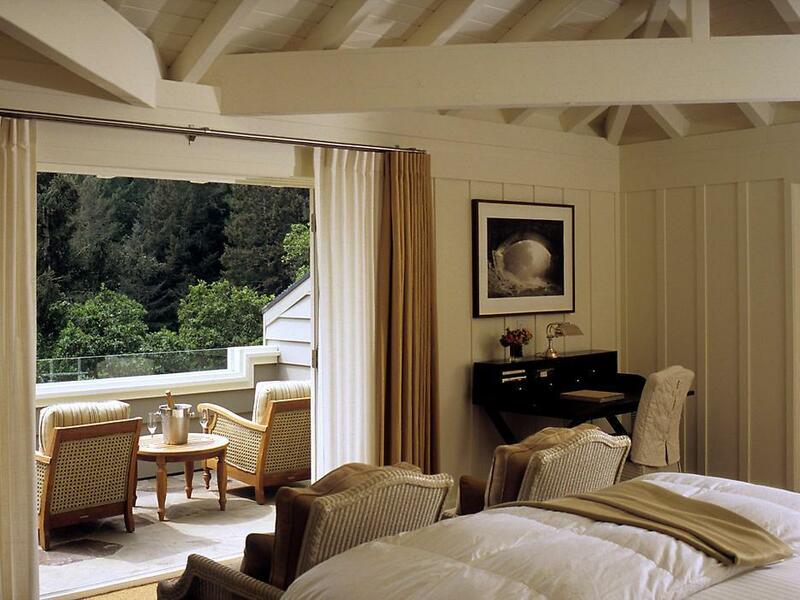 Airy and sunny Estate Suite has a private terrace that offers sweeping views of the valley and the forest. If there is a bit of a chill in the air, start a fire and curl up in front of the fireplace. If it is warm, enjoy your dinner on the terrace. Meadwood Napa Valley Resort offers plenty of activities – enjoy a game of tennis or croquet, go for a hike or a swim or treat yourself to a pampering session at the newly opened spa. Last but not least – each afternoon the resort organizes a wine tasting and you can explore the best wines Napa Valley has to offer. 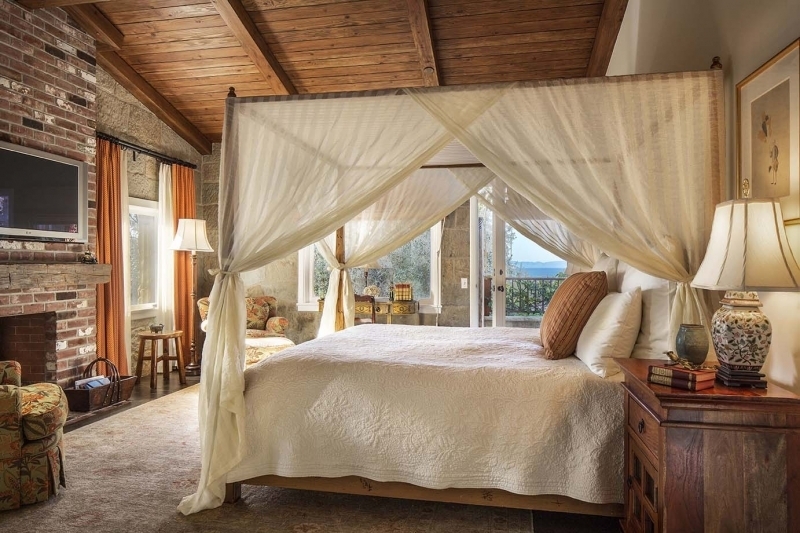 1200 feet above the Pacific on the cliffs of Big Sur you will find the Post Ranch Inn. Make no mistake – Post Ranch Inn is the perfect destination for a luxurious escape, a place to rest, rejuvenate and recharge. But it is the stunning views of the Big Sur coastline that will take your breath away. If you can stare at the view for hours, book a Coast House. Inspired by the redwood trees and circular in design, the Coast House is as private as it gets. 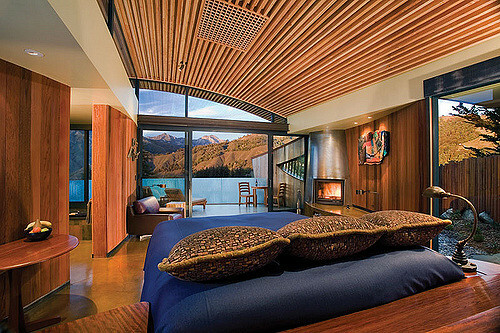 And you can enjoy the view from the living room, the bed or the tub (!). If you can tear yourself away from the view, there are plenty of activities available to keep you busy – go for a morning yoga session, enjoy a nature walk, go on a culinary tour with the chef or do some star gazing. With its superb location in Midtown Manhattan at The Four Seasons Hotel you will be steps away from the best New York has to offer. If budget is of no concern, book yourself into the Ty Warner Penthouse Suite. 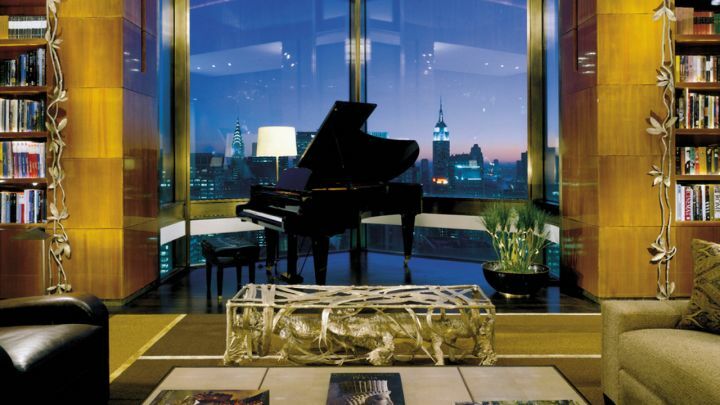 Located on the 52nd floor it offers a 360 degree panoramic view of Manhattan from the four cantilevered glass balconies. The suite was designed by Peter Marino and I.M. Pei who hand picked the art displayed in the suite. At your disposal you will have a personal butler and unlimited caviar and champagne. If you want to get around the town in style you can do so in a Rolls-Royce Phantom (your personal chauffeur is included). Utah is not the first destination that comes to mind when someone says honeymoon. But Amangiri, located in the Canyon Point in Utah, is a sight to behold. Yes, it is remote. But due to its location (in the middle of the Grand Circle), it is within easy reach of Zion National Park, Monument Valley, Bryce Canyon and the Grand Canyon. 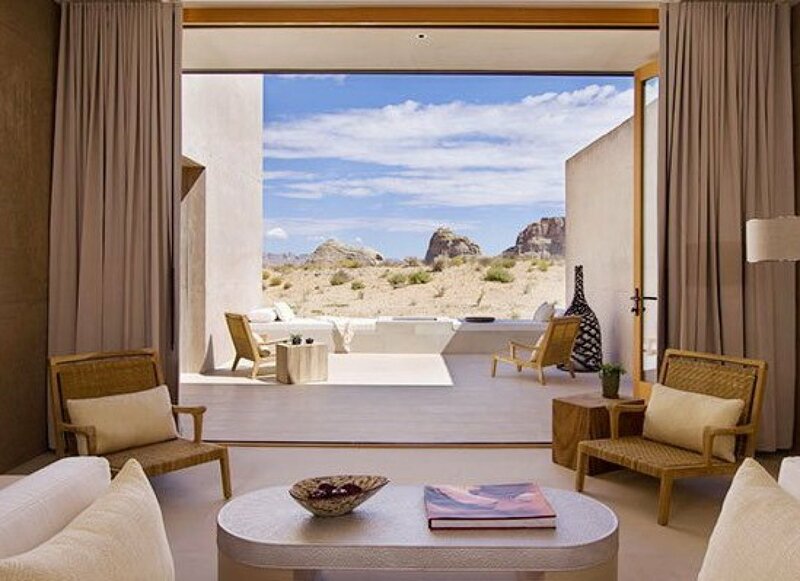 Take your pick between one of the luxurious suites that offer breathtaking views of the dessert, the mountains and the mesas (we are partial to both the Amangiri suite and the Girijaala Suite). There is plenty to do at the resort and the surrounding area – go for a horseback ride, do some climbing, go kayaking at Lake Powell or check out the fossils at the Grand Staircase-Escalante National Monument. For the early risers there is the option of an early morning hot balloon ride to take in the dawn views of the desert and the mountains. Located on the sprawling 300 acres near Barnard in Vermont you will find Twin Farms. Book yourself in one of the cozy and whimsically appointed cottages and enjoy the views from your private porch no matter the season. And there is plenty to do at the property as well – from sledding, ice skating and cross-country skiing in the winter, to canoeing, fly fishing and hiking in the spring and summer. You can do all of this and more while enjoying some of the most stunning scenery Vermont has to offer. If there is one place that knows lavish it’s Hollywood. And it doesn’t get more lavish than The Penthouse Suite at the London West Hollywood. The design might have been inspired by Vivienne Westwood, but there is no mistaking that breezy, laid back, luxurious Californian vibe. Did we mention that the Penthouse Suite spreads out over 2 floors? Why yes, you get 2 floors all to yourself! The main attraction (apart from the bathroom which can be described by one world only – OMG!) is your private terrace that offers unprecedented views of L.A.’s skyline, ample space for lounging or entertaining and your own fire pit. An hour away from San Jose and San Francisco and tucked away among 28 acres of vineyards, gardens and orchards you will find Bernardus Lodge & Spa. Whether you consider yourself a foodie, need a bit of pampering or you would like to sample the best wines Carmel has to offer, you can find all of these and more at the resort. For maximum privacy opt for one of the villas that offer the ultimate in ranch chic accommodation. 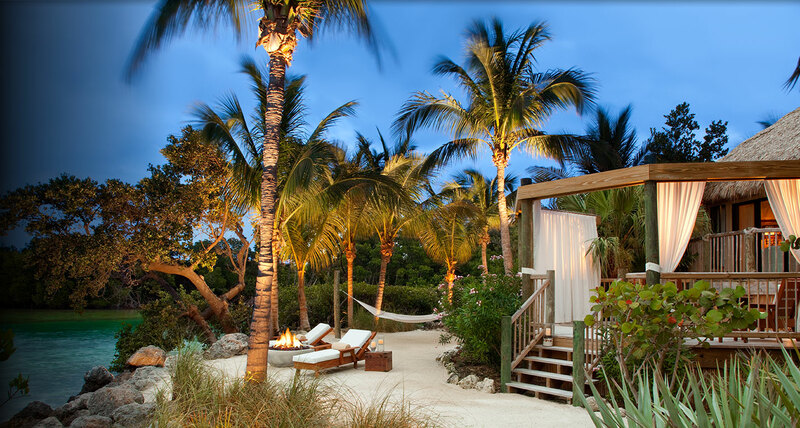 At your disposal you will have your own private terrace AND two private bath patios with outdoor showers. 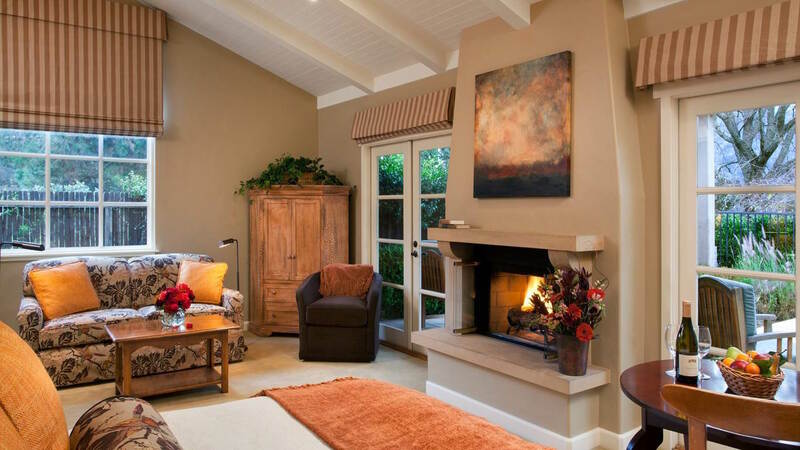 Take in the views of the Santa Lucia Mountains, relax, breathe in and enjoy. Hawaii is a popular honeymoon destination. 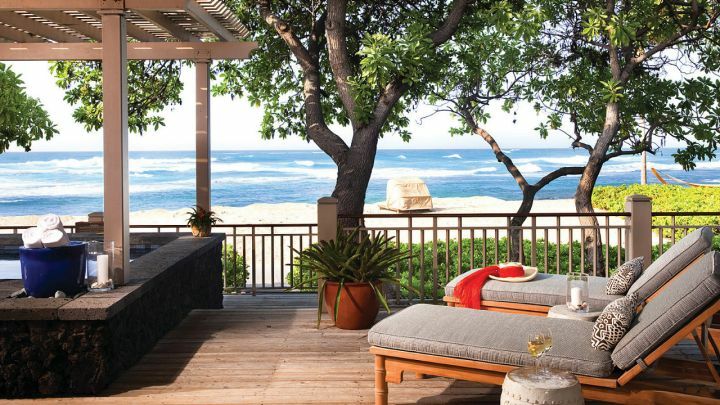 But if you want the best of the best book yourself into Four Seasons, Hualalai. One of the main attractions of the resort is the King’s Pond – 1.8-million gallon “aquarium” that has been carved out of the natural lava rock and is home to more than 4000 tropical fish. 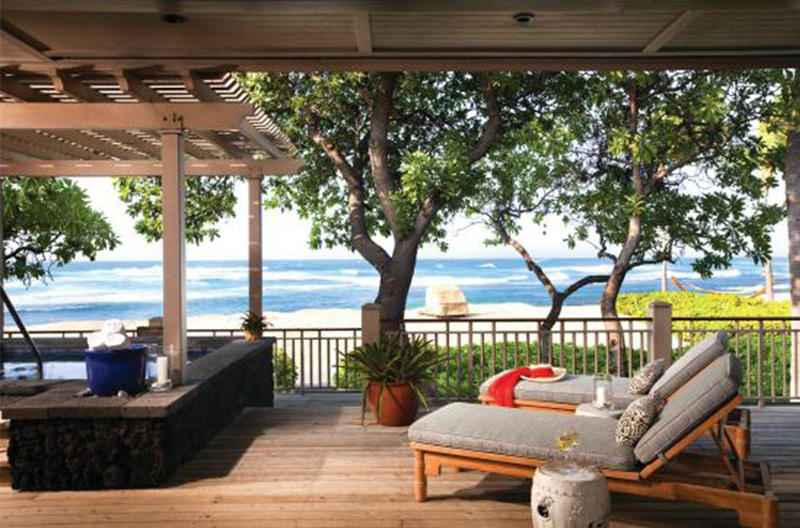 If you want secluded (it is your honeymoon after all) the best choice is the Hawaii Loa Presidential villa. Housed in a single story bungalow this villa is situated directly on the oceanfront and offers stunning views, direct access to the beach and a lanai with your own private hot tub. Watch the sunset or catch the migration of the humpback whales (if you are lucky). The Resort at Paws Up is located on a working cattle ranch that covers 37.000 acres in Western Montana. Take in the big skies and the rugged natural beauty all the while enjoying yourself in the lap of luxury. The Resort at Paws Up is known as the premier destination for glamping (glam + camping) in the United States. It is camping unlike any you have experienced before. The honeymoon tents are located at the Cliffside Camp, a soaring cliff that overlooks the spot where Blackfoot River and Elk Creek meet. The tents offer maximum privacy and the ultimate luxury – from air conditioning to luxurious en suite bathrooms, you will not miss any of the creature’s comforts. The resort is a wilderness playground for all ages – go horseback riding, fly fishing, kayaking, hiking, boating, rafting – the options are almost endless.